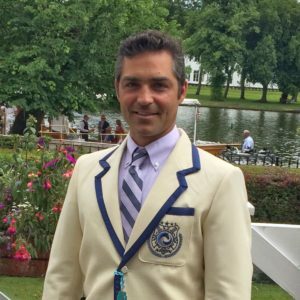 Eric Catalano began ARION with the desire to continue his professional development while helping develop sculling athletes for international competition for USRowing. Since its inception, Cat has placed multiple athletes in the World Championship Women's 4x (2017, 2018), won multiple medals in Champ events at the Head of the Charles, as well as overseeing the development of the U-23 women's program and the ARION men's program that both produced international boats in 2018. Outside of ARION, Cat has won many races at all levels - SRAA Nationals, Youth Nationals, Junior Worlds, Henley, U-23 trials, Canadian Henley, and the Head of the Charles - and often presents at conferences about his approach to athlete growth, rigging, and many more rowing topics. 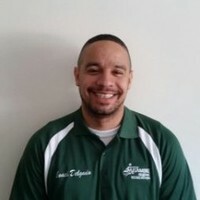 Coach Manny (Ithaca College, M.S., Sports Psychology) has been with SRA & ARION since June 2017. In that time, he's worked with several aspects of the organization, including long-term athlete curriculum development, regatta and volunteer operations, and ARION administrative duties. Specifically with ARION, Manny has coached current athlete Michael Landuyt to a Top 3 finish at the Head of the Charles in the Champ Lightweight Single and led the 2018 Men's lightweight quad at the World Championships. Coach Sam joins us from Columbia University, where she's been the assistant coach since 2016. 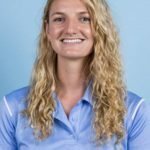 Sam, also a Columbia alumnus, earned CRCA first-team All-America honors, second team All-America honors, and led her team to a Top 15 national ranking. Additionally, she represented the United States on the 2009 Junior National Team in the Women's Quad, as well as the 2012 and 2013 Under 23 National Teams in the Women's Quad and Women's Four, respectively. In her first year at ARION, Coach Sam took an Under-23 double to the Under-23 World Championships. 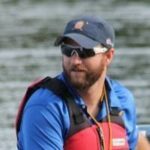 Coach Eric has been coaching for 11 years with experiences ranging from being an assistant at the University of Southern California, starting a club from scratch at Nashville Rowing, coaching the freshmen at his alma mater Gonzaga College High School, and working within the Junior National Team system at all levels. He is a native of Washington, DC, brings his dogs Phin & Boone everywhere, and came to Saratoga Rowing excited to be a part of its innovative community.